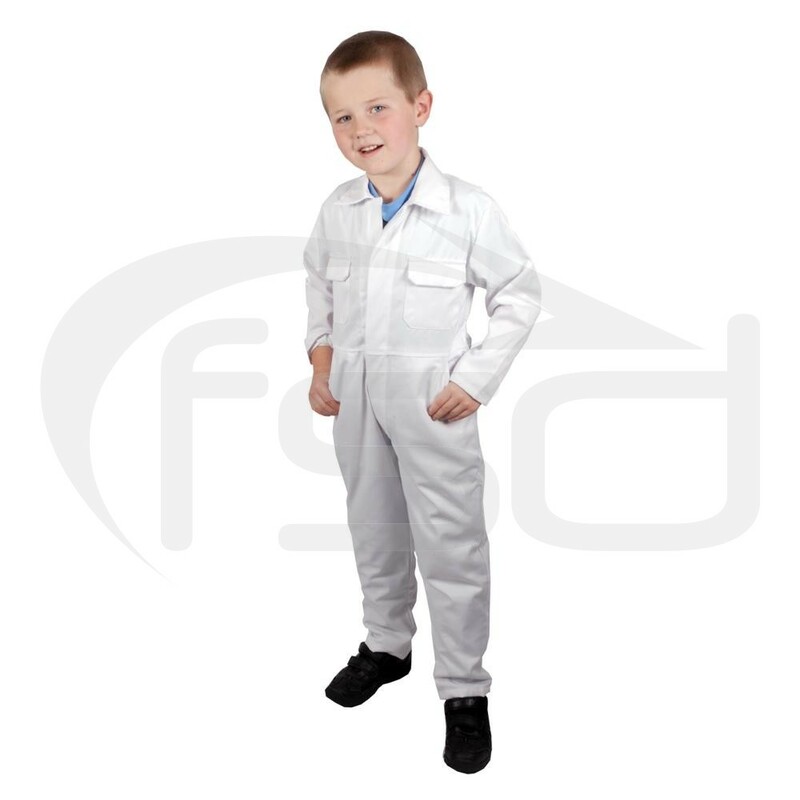 Hardwearing white poly-cotton coveralls in kids sizes. Ideal for cleaning, looking after animals, fancy dress and more. 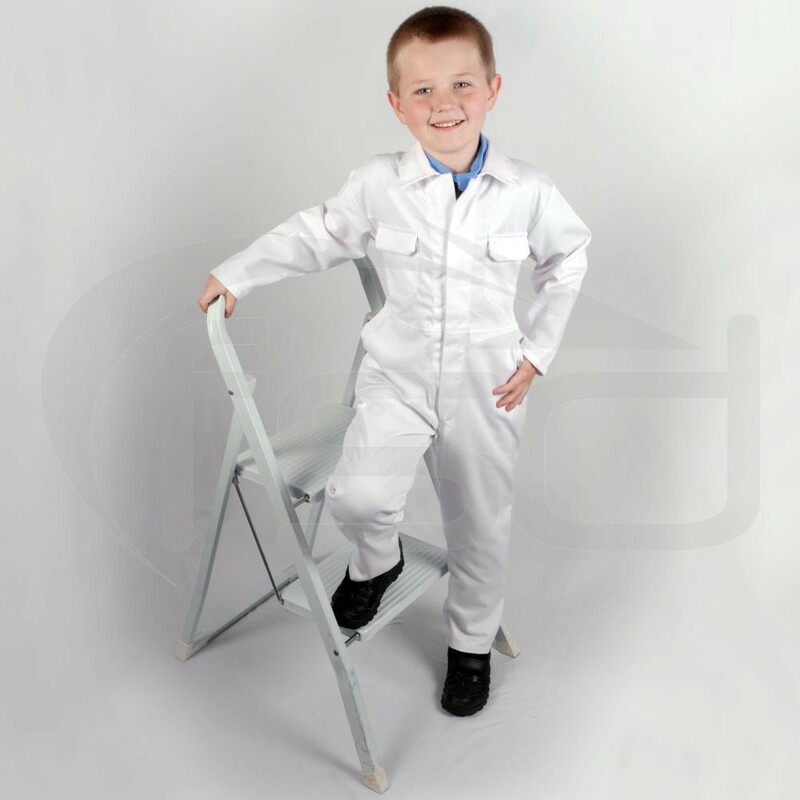 These white kids overalls are ideal for cleaning or outdoor activities such as gardening, looking after animals, etc.. Outstanding customer service from ordering to delivery.